For the fifth time in a row, D'art Design Gruppe has created an eye-catching appearance for Kanzan at the LabelExpo 2017 in Brussels. 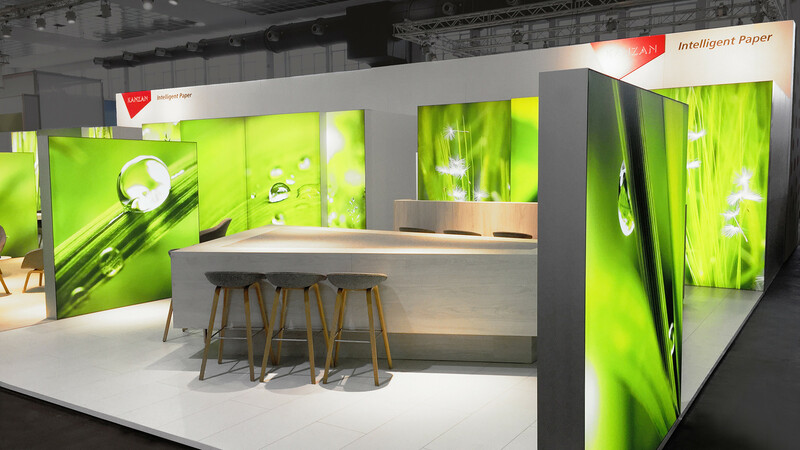 In the truest sense of the word, shining green graphics of leaves illuminate the developed stand of Europe's leading specialty paper manufacturer. New centre of the open communication platform is the big table for extensive dealer discussions.